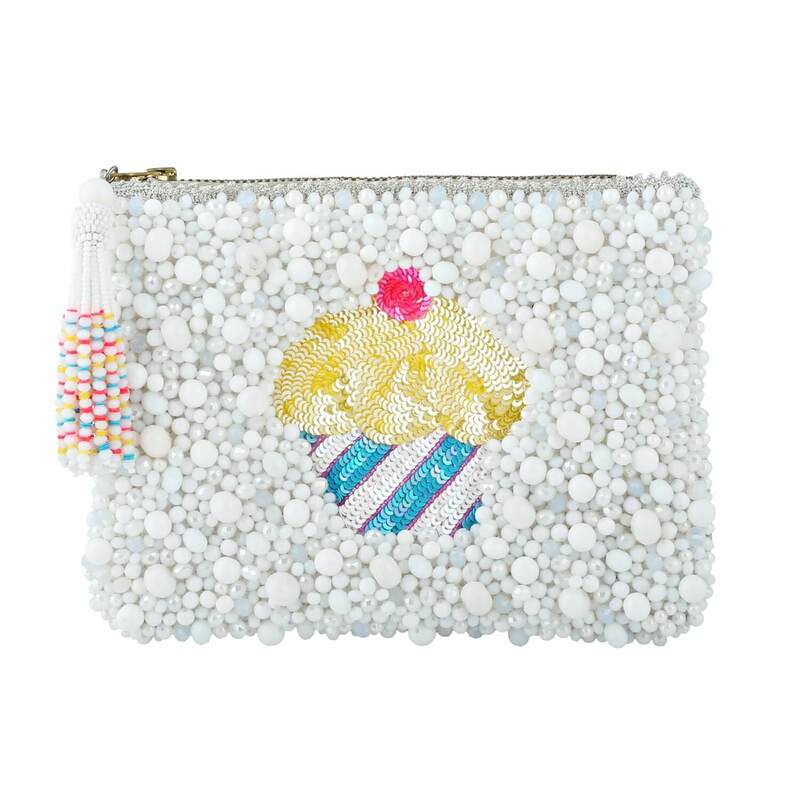 Delicious sequins Cupcake beaded clutch with detachable shoulder strap just right for a yummy summer day out with the girls or a fun romantic evening with lover. The clutch is entirely handmade by artisans, beaded with white glass beads, brocade lining, brass zip with beaded tassel puller. Pearl Beaded Zip-top Clutch with Crochet Flower zip-puller - Eyes and Nose.- Ivory Lovingly handmade by St Erasmus Artisans. Presented in gift box for safe storage. Comes with drawstring dust-bag. Includes 12 month warranty. Pearl Beaded Zip-top Clutch with Crochet Flower zip-puller - Ice cream Cone.- Multi-Colour Lovingly handmade by St Erasmus Artisans. Presented in gift box for safe storage. Comes with drawstring dust-bag. Includes 12 month warranty. Shiny sequins Banana beaded clutch with detachable shoulder strap is the perfect accessory this summer, be it to meet the queen or a night out at the rocking disco. The clutch is entirely handmade by artisans, beaded with white glass beads, brocade lining, brass zip with beaded tassel puller.